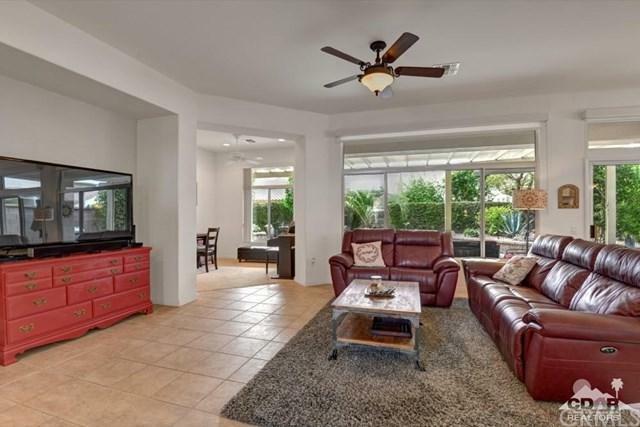 Within a gated community is this lovely extended Morocco model that offers a desert lifestyle, inside and out! 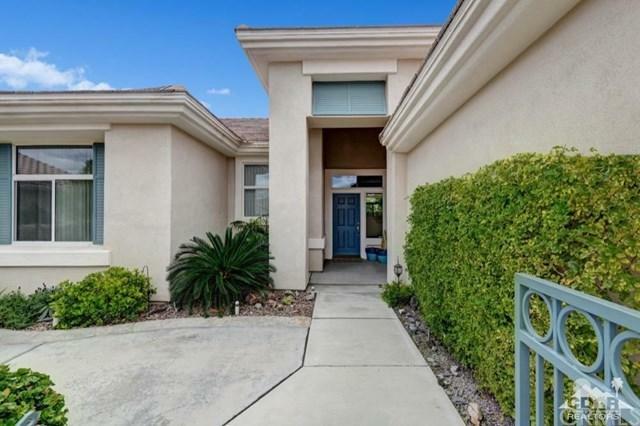 This east facing home has two bedrooms, den/office and two and a half baths. Double doors lead into master bedroom with en suite bathroom and walk-in closet. The second bedroom has en suite bath and a powder room in hallway. The kitchen and breakfast nook features granite countertops, center island and quality appliances. The great room has high, coffered ceilings with custom media niches. 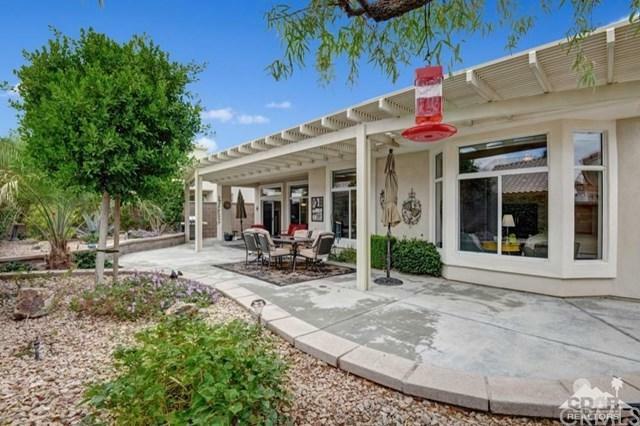 Step out through the double doors to a wonderful private backyard with mature trees and shrubs, and an Alumawood patio running the length of the home. Custom shades and fans. The two car garage has epoxy floors with cabinets for extra storage. 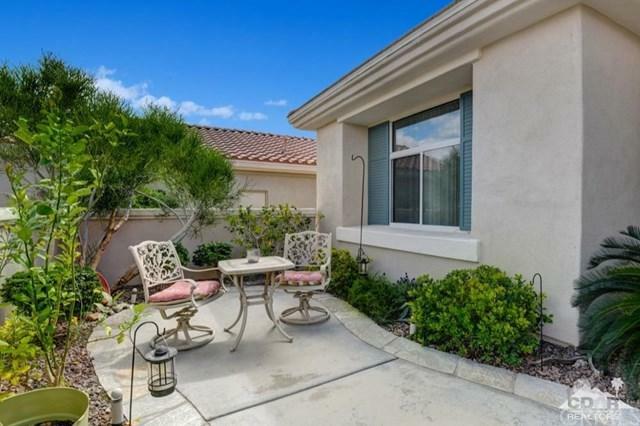 This well cared for home is also offering some furnishings outside of escrow. You will be happy you stopped by to check out this beauty! Based on information from California Regional Multiple Listing Service, Inc. as of 2019-04-23T16:40:42.32. This information is for your personal, non-commercial use and may not be used for any purpose other than to identify prospective properties you may be interested in purchasing. Display of MLS data is deemed reliable but is not guaranteed accurate by the MLS. Licensed in the State of California, USA.